Ban on Forced Arbitration Clauses Proposed by the CFPB | The Consumer Law Group, P.C. Help may finally be on the way for victims of predatory lending and dishonest banking practices. Currently, banks and lenders are permitted to include forced arbitration clauses in their agreements with customers, which prohibit the consumer from suing the bank or lender for any reason. The Consumer Finance Protection Bureau (CFPB) wants to give the power back to the consumer by banning the use of these clauses in lender agreements. Forced arbitration clauses are becoming a common part of many consumer agreements and contracts. 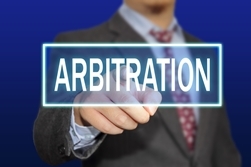 Let’s face it—most of us don’t read the fine print arbitrator and accept the terms offered to you. As you can imagine, this rarely benefits the consumer. What Could the CFPB Change Mean? The CFPB proposal specifically targets the ban on consumers entering class action lawsuits against banks or payday lenders who commit the same offense against multiple customers. Currently, instead of suing the institution as a group, each customer must enter into arbitration as an individual to seek compensation. Each person must navigate the complicated system on his or her own. The CFPB has discovered during their investigations that very few people actually complete the arbitration process and, as a result, the banks and lenders are getting away with illegal practices time and time again. The CFPB believes that removing the forced arbitration clause will allow consumers and class action groups to hold lenders accountable for their actions. Right now, this is simply a proposal from the CFPB. The House Financial Services Committee’s Subcommittee on Financial Institutions and Consumer Credit held a hearing on May 18 to discuss the proposal. Many believe that Congress could shoot down the proposal in an effort to protect banks and lenders. This would be very unfortunate for consumers, who will continue to have virtually no power to force banks to refund overcharges, erase illegal debts, and correct inaccurate credit reports. Unfortunately, there may be nothing you can do if you are the victim of predatory lending or illegal banking practices if you have signed a forced arbitration clause. However, with the possibility of a change in rules governing arbitration clauses, it is always worth calling us at The Consumer Law Group to find out where you stand.